Foreign Policy: We Always Knew Medvedev Was Robin When WikiLeaks announced it would release information concerning Russia, journalists thought they might finally get answers to their burning questions. How is power distributed in the Kremlin? How much money does Putin have? Instead, Julia Ioffe of Foreign Policy says, all they found out is that President Medvedev plays Robin to Prime Minister Putin's Batman. And everyone knew that. Julia Ioffe is Foreign Policy's Moscow correspondent. Journalists here spent the weekend tensely awaiting the WikiLeaks data dump, having been tipped off that there would be a Russian bombshell in the mix. Would the documents finally reveal just how much of Gazprom Vladimir Putin owned, or how much money he really had? Would they shed light on his personal life? On who really killed Alexander Litvinenko, or all those journalists? Instead we found out that Putin is an "alpha dog"; that President Dmitry Medvedev is not an independent actor; that, by comparison, he is "pale" and "indecisive"; that he is Robin to Putin's Batman; that the Russian state resembles the Soprano clan; that Putin is extremely close to Italian Prime Minister Silvio Berlusconi. This was about as shocking as the attendant revelation that Sept.11 still haunts American politics. Who didn't already know that Putin is Batman? What we learned, besides a few new shades and details, is that American diplomats in Moscow rely on a lot of the same sources Western journalists do in trying to decipher the Kremlin -- sources like the Russian press, which is a lot more intrepid than the West gives it credit for. They also don't seem to spend much time actually deciphering the Kremlin; mostly the cablers were preoccupied with the gossip coming from the bulldogs under the rug or the spiders in a jar or the "heads in a soup" or whatever metaphors such circles use. We discover, for instance, that Russian first lady Svetlana Medvedeva keeps a blacklist of bureaucrats who don't respect her husband. Does that mean anything real, and do these chinovniki actually suffer for earning her wrath? Unclear. "I would ask whether there's anything really sensational here, whether there's anything here that isn't already in the newspapers," a Moscow source familiar with the situation but unable to comment officially on the leak, told me. In fact, there seems little chance that the latest, biggest document vomit will derail America's largely productive relationship with Moscow, an achievement that Barack Obama can justifiably flaunt as perhaps his sole untarnished triumph as president. The official response has ranged from strong condemnation to disdain -- "imaginary Hollywood characters do not require comment," Medvedev's spokeswoman said, and Foreign Minister Sergei Lavrov called the cables "amusing reading" -- and this, given both sides' interest in not rocking the reset boat, is also not a surprise. In addition to the fact that much of the information in the cables -- even the intertwining of the Russian police and organized crime -- has been widely reported in the Russian press, officials on both sides say they weren't really caught off guard. "When the U.S. found out what would be published, they got in touch, they warned the respective governments and asked not to make this into a big deal," says Sergei Markov, a Russian parliamentarian who specializes in foreign policy. "The authors of these cables are not exactly policymakers. I think the Russians see and know the difference," says a senior Obama administration official who was not authorized to speak to the press. As for the potential for diplomatic awkwardness now that everyone knows America thinks Medvedev wears green tights, few Russia watchers seemed concerned. "In Russia, unlike in America, where optimism reigns, the views on politics are extremely cynical," says Fyodor Lukyanov, editor of Russia in Global Affairs. "No one is surprised that diplomats say these kinds of things." (Lukyanov added that only Medvedev stood to be offended. "Putin is likely to be flattered," he says. "He has built his whole political image on being the alpha dog.") There is also a practical matter preventing any kind of real offense, the American side was quick to point out. "I personally don't see what the big deal is," the Obama official says. "They intercept our phones and emails enough to make this not surprising." Besides, those Batman-Robin analogies, he adds, were the work of "Bushies." "Obama doesn't treat Medvedev as Robin," he says. And while Obama may face political repercussions at home for the leaked information, on the Russian side no one really cares, given how little new information was revealed -- except, of course, the fact that Chechen president and deranged boy-warrior Ramzan Kadyrov gives gold bullion as wedding gifts. 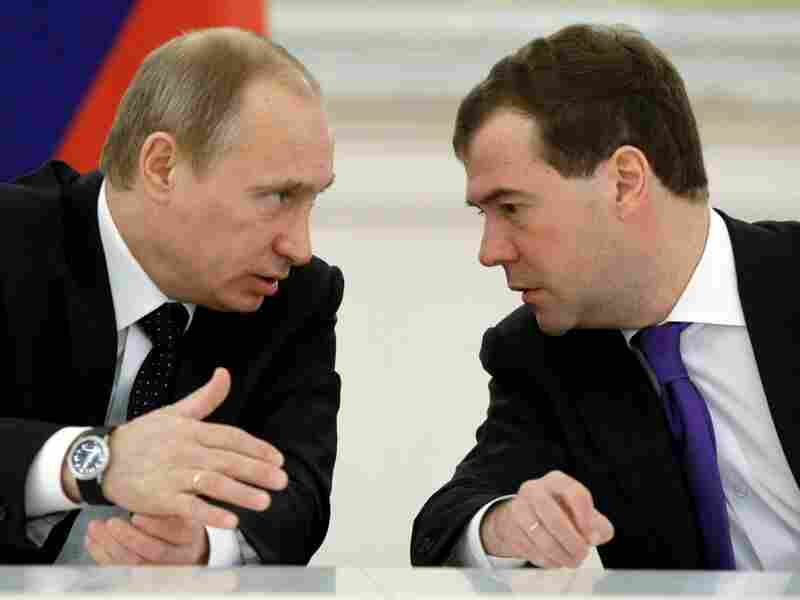 We did not learn, for instance, anything new or definitive about how power is distributed between Medvedev's Kremlin and Putin's White House, about how Medvedev feels about his role in the tandem, or about his future ambitions -- or whether anyone who matters cares. Given the banality of the disclosures, the Russians are likely to respond the way they know best: purging. "We will draw internal conclusions," says Markov. "Most likely, they'll look at the cables to see who spoke a little too frankly with the Americans and a couple department heads or deputy ministers will be fired." In the meantime, the Americans await a new batch of data, one that could actually make a big impact. "To be honest, I was much more worried about what might have been in there," the Obama official told me. "But this roller-coaster ride isn't done yet." And while the Wikicoaster climbs the next over-anticipated hill, the Russians, for once, radiate a bystander's innocent pity. "We feel sympathy and awkwardness," a Russian diplomat told the Interfax news agency, because "rooting around in diplomatic dirty laundry is not very pleasant."